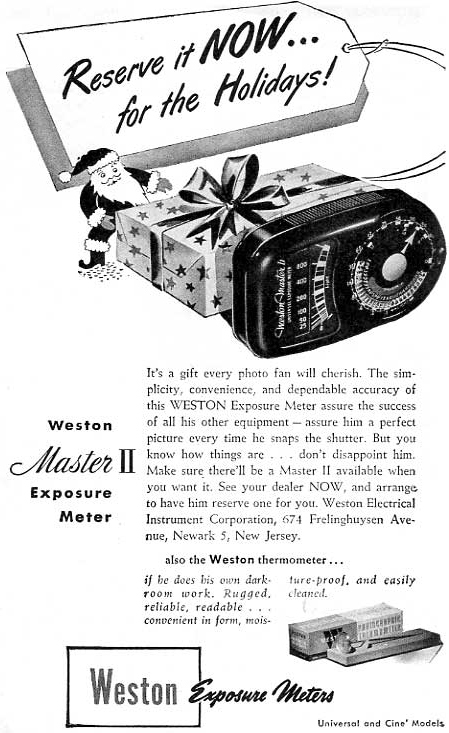 For decades, Weston was the light meter of choice. They invented the first photoelectric meter back in 1932, and thereafter, despite competition from powerhouses both foreign and domestic, they maintainted their position among distinguished professonals like Ansel Adams. Click on the ads for larger images. A Master I ad can be found here. 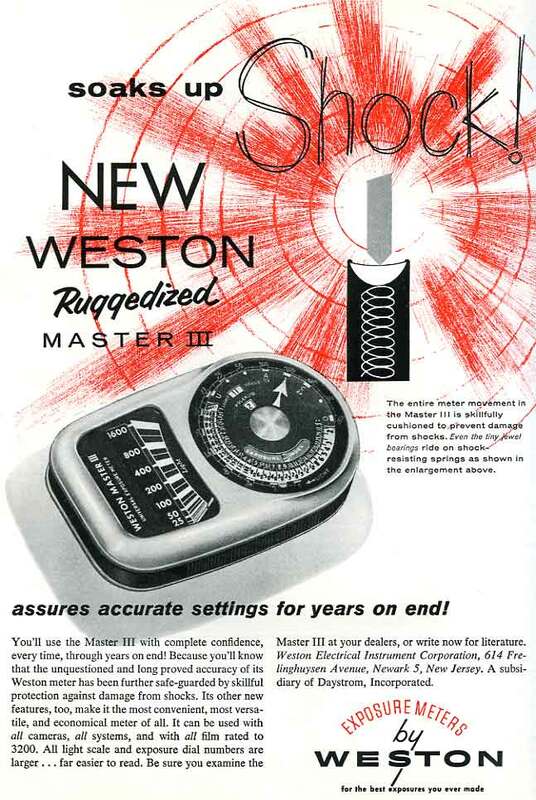 The Master II was the ubiquitous model, being in production for about 10 years (1946 to around 1955). The Master III ran from 1956 to around 1961. The Master IV from 1961 to 1965, and the Master V from 1965 through the end of the decade. All Weston Masters were selenium-cell, which meant they generated their own current and didn't need a battery. Many of them still work decades later, but sadly, many don't and you can't get replacement cells anymore. A shame; they were very well made, looked and felt like quality, too.